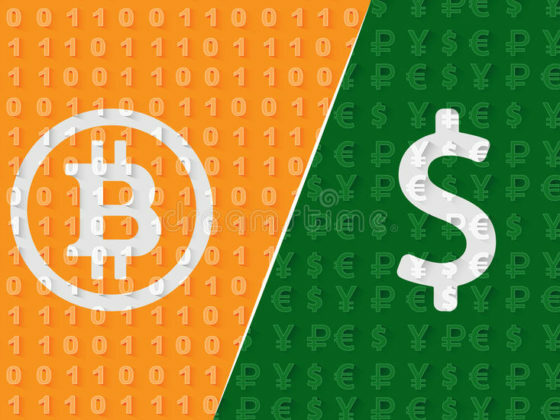 Bitcoin tumbling, also referred to as mixing or laundering, is the process of using a third-party service to break the connection between a Bitcoin sending address and the receiving address(es). So, stated quite simply: What is the Best Bitcoin Tumbler? Here is our list of the 10 best Bitcoin tumbler services! You’re practically anonymous, the fees are extremely low, transactions get confirmed within just a few minutes, and you don’t need to trust any single person or corporation. That awesomeness, however, comes at a price. Namely, everyone with a copy of the full blockchain (which is freely available) can look into everyone’s transaction history, including yours. Based on this, and some external information, others can deduce the owner of an arbitrary Bitcoin address. You could send all your money to a new address and forget about the old one, but it’s a really thin cover; such an operation wouldn’t fool the potential person spying on you. A good example is illustrated in a recently leaked memo where the U.S. Army and the National Security Agency sought to track cryptocurrency users by analyzing transactions. And that’s where a Bitcoin tumbler service shows up to save the day. But it’s not just the authorities that are on the lookout for illegal crypto transactions. There are also exchange platforms that are keen to observe transactions from specific sources such as gambling sites and darknet markets. For instance, Coinbase states that it does not accept funds from gambling sites because of reasons best known to them. But a good and justifiable reason is that gambling sites are well known to be hubs for laundering money, where some of the proceeds are obtained from the dark web. Bitcoin mixing helps you to disassociate any BTC you purchased from your identity. You send your coins to a Bitcoin mixing service; they take a small mixing fee, and after a random delay they send you an equivalent amount of other people’s bitcoins to your new address. In other words, coin mixing services take your cash and give you new cash to your secret identity so that it remains secret. So, to avoid the inconveniences brought about by using funds from sources not regarded as “clean,” cryptocurrency tumbler services offer a solution. There are different Bitcoin shufflers currently in use. And a user should take into consideration several factors before choosing one. First of all, the obvious factor is the type of coin you are using and the source of funds. When the funds are clean, then there is no point in mixing up the Bitcoin since suspicions are not likely to be raised. But, if you are a darknet market user who operates using specific sites, you should find out if the market you are using has a built-in tumbling service. You can also check if the site recommends any outside coin mixing services. If not, then it’s up to you to research in order to stay safe in the future. In this bitcoin mixer review we have tried to cover the most popular and reliable services. Please notice! Use bitcoin mixers at your own risk! Bitcoin Laundry brings low fees, a friendly user interface, and advanced security to the mixing sphere. Their service works by breaking the link between your old addresses (often associated with the exchange where you first bought bitcoin) and new addresses. When a mixer severs any connection between the two, your chain of transactions essentially disappears and your identity becomes untraceable. Bitcoin Laundry charges a fee of 0,1% plus 0.00008 BTC per payout address and supports transactions from .0005 to 38 BTC. For extra anonymity, users can send their coins to up to 5 payout addresses and decide what percentage of their payment goes to each address. Users can also choose a preset or random delay for their payout for each address, making it even harder to trace the transaction. Bitcoin Laundry keeps logs for one week to offer user support, and then they are automatically deleted. However, users have the option to delete their mix logs at any time. The platform can be accessed via clearnet at bitcoin-laundry.com, or TOR at btcdryi67te57itq.onion. BitMix.Biz is one of those mixing services that keep your crypto safe. The platform will take your bitcoin, mix it with other deposits, and give you the same amount of bitcoin in return. It’s designed to reduce bitcoin tracking, “clean” your coins, and help ensure anonymity on the transparent bitcoin network. A bitcoin mixer service like BitMix.Biz will take your bitcoin, then give you different bitcoin in return. The platform collects everyone’s bitcoin deposits, mixes them up into one central account, and then returns the bitcoins to users. You get the same amount of bitcoin (minus a fee), but different bitcoin from different parts of the blockchain. With BitMix.Biz, you get a letter of guarantee. That letter of guarantee is proof of BitMix.Biz’s obligations. When they give you their bitcoin address, they’ll provide a digitally-signed confirmation that this address has genuinely been generated by the server. That letter is always signed from the BitMix.Biz main bitcoin account (that account is publicly available on BitMix.Biz). The platform also uses a special 12 symbol “code” to ensure you get your bitcoin back every time you use the service. You save that code. That code also 100% excludes you from receiving your own coins anytime in the future. After your order is invalid, BitMix.Biz will remove any information about your transactions. Absolutely no logs or personality identifying information is kept regarding your use of the BitMix.Biz service. Money is instantly transferred to your address after your transaction is confirmed. BitMix.Biz pays users when they refer others to the platform. They’ll pay for every transaction made by an invited user. The platform charges a mining fee of 0.4 to 4%. You can set the fee manually when you’re mixing your bitcoins. The address fee is 0.0005 BTC per output address to cover any transaction fees charged by miners. BitMix.Biz’s mixing process takes up to 24 hours, although it’s usually “almost instant” depending on the current service load. You’re required to mix a minimum of 0.007 BTC and a maximum of 1000 BTC. Transactions outside this range will not be accepted. This type of bitcoin scrumbler separates your new and old addresses by sending your coins to other people and delivering their coins to you in exchange. Via this process, transactions become anonymous. BestMixer.io works with a range of cryptocurrencies, including Bitcoin, Ethereum, Litecoin, and Bitcoin Cash. To use BestMixer.io, you send coins to the platform. It then shuffles the coins within the pool and gives you coins, at random, from other depositors. Because your original coins go to numerous destinations and you receive coins from several origins, your coins are untraceable. BestMixer.io’s speed depends on the delivery time setting you choose and the system’s operational speed. The platform is Tor-friendly and secured with an SSL certificate. The servers are protected from any type of impact with locations in multiple reliable data centers. BestMixer.io follows strict security and privacy policies, so customers get complete anonymity. Additionally, it removes order histories completely 24 hours following the execution of your mixing conditions. The website is intuitive in nature, and the interface works well on a range of devices, so there should be no problem using your mobile device. And keep in mind that there are minimums for mixing; you must have a minimum transfer of 0.005 BTC, BCH, or LTC. While the membership is free and automatic. Users get assigned a unique code on their first order, and the system automatically calculates the discount based on your transaction volume. The discount continues to increase as you perform more mixing operations. BitBlender is one of the oldest and easiest to use Bitcoin mixers out there. It has been around for several years, and it is likely one of the most popular scrumblers for the dark web. BitBlender was launched in 2014, by an anonymous crypto enthusiast and software developer. The mixing service provided by BitBlender has a randomized fee of 1-3% and allows you to send BTC to as many as 10 different addresses for maximum privacy. The fee is randomized to ensure maximum anonymity as values become unpredictable. Although users have to register an account to use the full set of tools (which is a very simple process), BitBlender also features a “quick mix” mode that allows users to quickly clean their Bitcoins without registering an account. This feature also has a quick mix code that identifies each mix in order to ensure you don’t get the same coins you sent in a previous mix. BitBlender offers two additional tools that can be of great service. The first being Auto-Withdrawal and the second being Quick-Withdraw. The Auto-Withdrawal tool allows you to set addresses to which the website will automatically mix your coins to once these are received. This feature will save you a lot of work if you need to mix your coins regularly. The Quick Mix tool is extremely useful for those who want to keep it quick and simple. This feature is also for the occasional user that does not wish to create an account. CryptoMixer is another simple yet trustworthy Bitcoin Tumbler service. And one of the primary differences it has compared to the other platforms on this list is that it can accommodate really “large volume transactions”. There is no Maximum transaction limit as such, considering how their reserve is really huge and you’ll need to be a millionaire before you can run them out of funds. If any limit is breached, you are notified before you make the payment. The minimum transaction 0.001BTC, any amount lower than this is is considered a donation, like in the case of PriveCoin, and isn’t sent back to the customer. The minimum fee is 0.5%, with an additional 0.0005BTC for every deposited transaction. You can set a custom fee for added anonymity and they also provide a letter or guarantee like all the mentionable Bitcoin Tumblers out there. Bitcoin Fog is a coin Mixing and Tumbling service that covers up your tracks in the Crypto world. Bitcoin Fog lists a straightforward process for mixing user’s coins. First, the user is supposed to make a deposit. Bitcoin Fog currently supports a minimum withdrawal limit of 0.03500000 BTC so a user is advised to deposit more than 0.03500000 BTC plus the fee, otherwise, the user would not be able to withdraw. A user is provided with an address to deposit and can have up to 5 deposit addresses to make the deposit. If for some reason, even after a delay of two hours, the user’s deposits do not get updated, then the user can contact the support team for action. For users who have been inactive for several days on the network, it may take up to 15 minutes after login for the outstanding deposits to register and display. They keep logs for 1 week for debugging and troubleshooting purposes. After that, they are automatically deleted. ALL logs are taken care of. The service is run on a dedicated server, manually configured for this very purpose, which is publicly connected from the internet (not needed if using Tor). Bitcoin daemon is run on another machine, and all suspicious activity is monitored and the website shuts down automatically if it even senses it is under attack. It is manually monitored and checked on a daily basis. Blender.io has a Bitcoin reserve of its own, consider it a chain of Bitcoins, when you send your BTC to Blender.io it sends your coins to the end of the chain and sends you fresh, new, unlinked coins from the beginning of the chain. Hence there’s no link between the coins going in, and the coins coming out. Hence the public ledger would only be able to track the coins going from your wallet to the address of Blender.io but no further. Blender.io doesn’t require you to signup, register or provide any kind of detail except the “receiving address”! That’s the only thing it needs, there can’t be a better form of anonymity if you ask me. Since you provide no personal details, there’s no way your identity can be compromised. Nor can it be linked back to you, since Blender.io doesn’t know who you are. Blender.io is one of the most accommodating tumblers in this sense as well, most other tumblers offer 3-4 sets of delays, Blender.io offers as many as 24, yes one for each hour. It also lets you add as many as 8 new addresses for each transaction (most other tumblers allow no more than 5 addresses). MixTum.io is a Bitcoin mixing service that provides privacy by using the ‘Bitcoin Mixer 2.0’ algorithm to shuffle bitcoins. Unlike other similar tumbling services that mix your coins with the coins of other users, this platform mixes your crypto with the crypto bought by them directly from the cryptocurrency stock exchanges. MixTum.io verifies the newly purchased coins with a scoring system with the help of innovative algorithms and outfoxes such technologies as blockchain volume analysis, cluster analysis, taint analysis, etc. It means that you will receive your BTC back split into random parts, and even at the different addresses if needed. Consequently, your privacy is protected as there is no connection to you. And it takes up to 6 hours to complete your request. Another privacy feature of this mixer service is that it does not require registration and it does not store logs. All the transactions are digitally signed with letters of guarantee that you can check on the website at any moment. They also provide 24/7 technical support. MixTum.io will charge you 5% Fee from your transaction as well as a network fee 0.00015 BTC. The platform provides two versions – for Clearnet and Tor browsers. Grams Helix is one of the Darknet subsidiaries and is one of the best bitcoin mixing services out there. Grams Helix doesn’t just clean your coins it gives you brand new ones which have never been to the darknet before. The helix system is more than a bitcoin tumbler, it is privacy and security wrapped in one. The Helix process uses a new proprietary technology which has never been used before with bitcoin tumbling. The coins are not just mixed but traded out for new ones before mixing. The helix process can take up to a maximum of 4 hours. So even without reserves, you will start receiving your bitcoins in a timely manner. You will need to register an account in order to use regular Helix; although, Helix Light and Helix Market do not require it. If you’re going to register an account with Grams, get ready to pay an entrance fee of 0.01BTC. This fee will be deposited into your account and will be ready to use. Helix also offers an Auto-Withdraw (Auto-Helix) service that allows you to specify with which addresses your BTC should be mixed, once they arrive at the account. In Helix, all logs are deleted after 7 days but can be deleted by the user as soon as the withdraw is complete. Helix has its own server not connected to Grams. The several bitcoin clients it uses are on a completely separate server from Helix and Grams. Even if Grams was under attack or compromised it would not affect the Helix system. 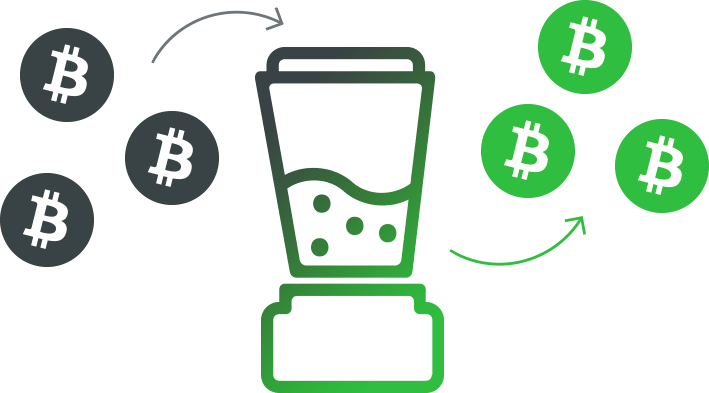 BTC Blender makes the bitcoin mixing process extremely simple and user friendly. Speed – BTC Blender requires only (1) confirmation before releasing your new, clean bitcoins to the specified output wallet. This makes the process much faster than most all other mixer services. Users also have the ability to set a delay for their transaction processing. This allows users to anonymize the timing of their bitcoin delivery, which has proven to be ideal for overly paranoid BTC users. Anonymity – As an offshore company, their servers are located offshore. This provides users additional peace of mind knowing that their information is not logged and never subject to search or seizure. Additionally, they offer users a unique “delete logs” link upon successful confirmation- giving users the ability to remove their logs manually for added peace of mind. Fees – When comparing BTC Blender to other Bitcoin Mixing services, it undercuts the competition on a grand scale. While many of their competitors charge a flat fee of up to 3%, BTC Blender charges a modest .5% fee. This makes BTC Blender particularly ideal for users cleaning large amounts of bitcoin at once. Coinmixer.se offers a log deletion after you’ve completed your transaction, a great security feature for Clearnet users. In addition, they have a deep web URL that more savvy users can take advantage of over the Tor browser. It does not require any account or personal information and doesn’t collect any information about a visitor’s activity. It works both as a Bitcoin Tumbler, as well as a swapper, meaning you can clean your coins, and receive back a different cryptocurrency, which further enhances anonymity. As a Bitcoin Tumbler, they let you set a custom service fee: the higher the fees, the better your anonymity. There’s a time-delay option as well which lets you add an extra layer of protection by delaying your transaction by up to 24 hours, so you receive your coins not instantly but at a later time set by you. Note that there is a minimum of 0.01BTC/transaction. Any smaller amount is accepted, but is considered a “donations” and hence will not be returned. Absolutely no logs or personally identifying information are kept regarding your use of this website. Any Bitcoin Tumbler works anonymously and effectively. It’s important that they be trusted. There’s no authority or government you can complain to if they run off with your coins. So if you like privacy and also want to protect your cryptocurrency from government tracking or tracing, Bitcoin mixer services are a good option. Just remember that it is hardly possible to find a free bitcoin tumbler as all of them would charge you a small fee between 0.5-3%. 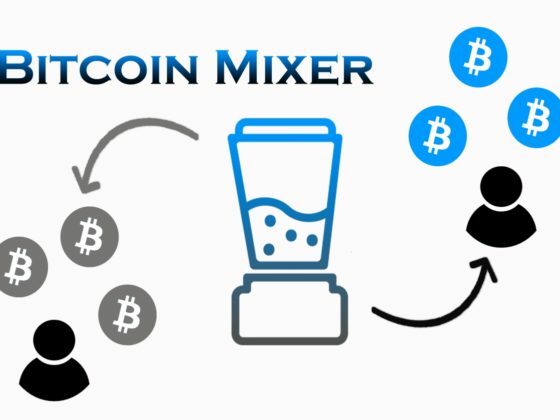 What is a Bitcoin Mixer (or Tumbler) and How Does It Work? Is Bitcoin a Fiat Currency? Why? or Why Not?